The 18th Black Bear Invitational is scheduled for Saturday April 27th at Coe-Brown Northwood Academy. 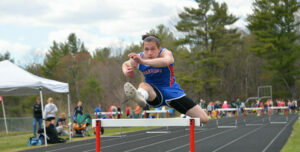 Over its lifetime, this meet has grown to be the largest team scored invitational in the state of NH. One of its unique facets is having the 3200 as its first event in the morning and the 4×800 and 4×400 as the final 2 events. Relay City! With most of Division 2 attending, it represents our first opportunity to see how teams stack up head to head! 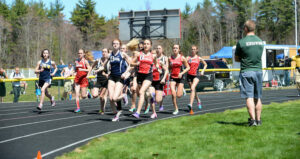 Add in some of the best from Division 1 and 3, and we have ourselves a mini Meet of Champions. New this year are a couple guests from Maine and Vermont!! The 2019 Black Bear Meet Hub is your one stop for interviews, videos, pics, race videos and live results! Check back here for accepted entries! 2017 Black Bear Invitational Meet Recap! BB Invite! Dave Scannell’s Photos and All Race Videos are Up!